Indian Navy’s submarine arm celebrated 50 years of Golden service to the nation on 8th December, commemorating the date in 1967 when India’s first Foxtrot class submarine INS Kalvari, was commissioned at Vladivostok. 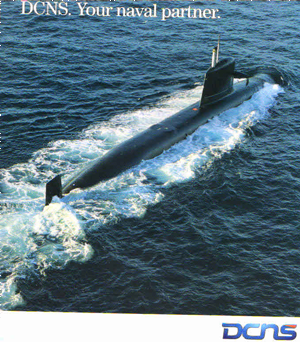 Concurrently, Navy’s first of six modern Scorpene class silent killer submarines (SSK) to be named INS Kalvari, was handed over to the Navy by the builders Mazagon Docks at Mumbai with French SM-39 under water launched missiles, advanced Subtics computer control, and fitted with German SUT-B (interim) torpedoes. The crew is awaiting commissioning, possibly by the Prime Minister, but a Submarine Day commissioning was missed. As per submariners’ motto, ‘Run Deep, Run Silent’, Defence Research and Development Organisation’s (DRDO) Project Akakshanka (Hope) earlier called ATV, toasted the launching of India’s second nuclear SSBN submarine from its flooded dock by Defence Minister Mrs Nirmala Sitharaman in a low key event at the classified Shipbuilding Building Centre (SBC) at Vishakapatnam. Media named her Arighat (Blessed Attacker). Earlier media had called her Aridhaman. She is larger than the first 6.000 ton INS Arihant with an extra missile plug and has more Indian content by Indian companies and will be armed with (DRDO) eight K-4 (Kalam) nuclear tipped ballistic missiles with a longer range of 2,500 km, with radar and GPS homing, and will carry torpedoes. She will now complete habour trials and test fire her scaled up from 83MW reactor, before proceeding for sea trials. Arihant’s reactor was fired for criticality by BARC’s Dr Usha Paul, later decorated for her work in designing the reactor’s parameters and a feature called SCRAM for safe shutdown of the nuclear reactor in emergency. 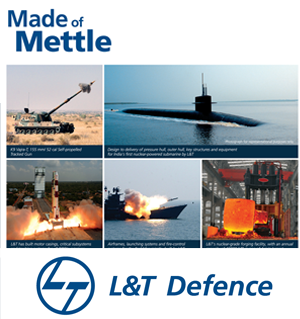 Arighat’s hull was assembled by Larsen &Toubro Ltd (L&T) in a public private partnership (PPP) with DRDO in a dry dock in a large shed at the SBC which stands leased to L&T, which has its Heavy Engineering Unit at Hazira, and a shipyard at Tuttalpulli near Ennore. The submarine has been built in modular blocks with the integrated hull outfitting and painting (IHOP) technique. 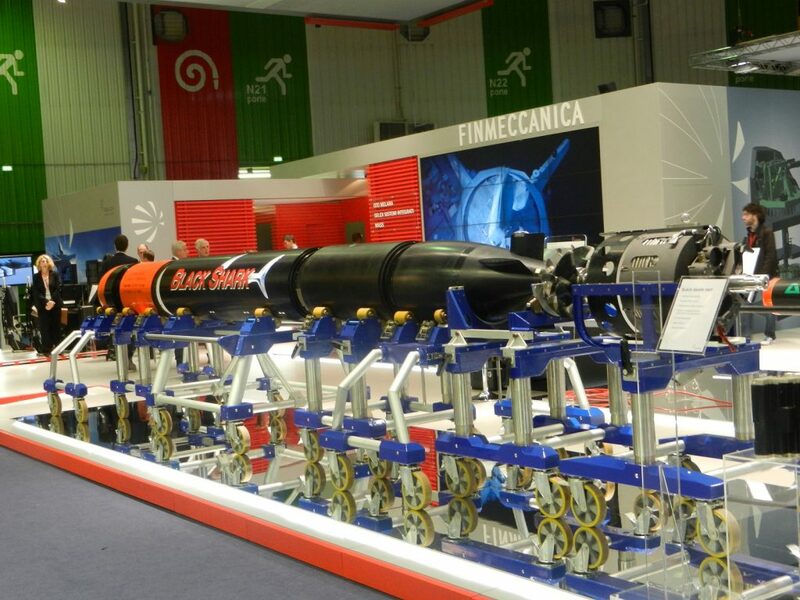 The completed blocks are transported with heavy cranes and joined by qualified welders with x-ray checks for water tight integrity under Russian consultancy, as submarines dive deep and have to withstand heavy pressures. L&T executed the work under Naval Director Generals Project Akakshanka which has a testing facility called DMDE at Hyderabad for quality control. A board in Prime Minister’s Office (PMO) and NSAs with the Strategic Force Commander (SFC) monitor the progress. Funding is not disclosed. 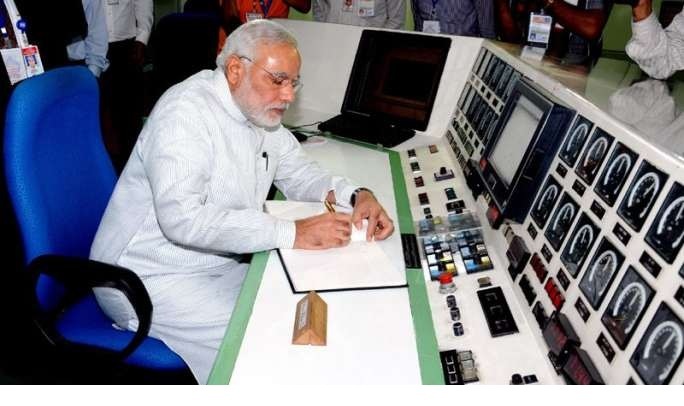 The submarine’ enriched uranium nuclear reactor is supplied by Bhabha Atomic Research Centre (BARC) with parts supplied by industries like Walachandnagar Industries and Godrej and SMEs. The turbines and heat exchanger system is supplied by Bharat Heavy Electricals Ltd (BHEL). 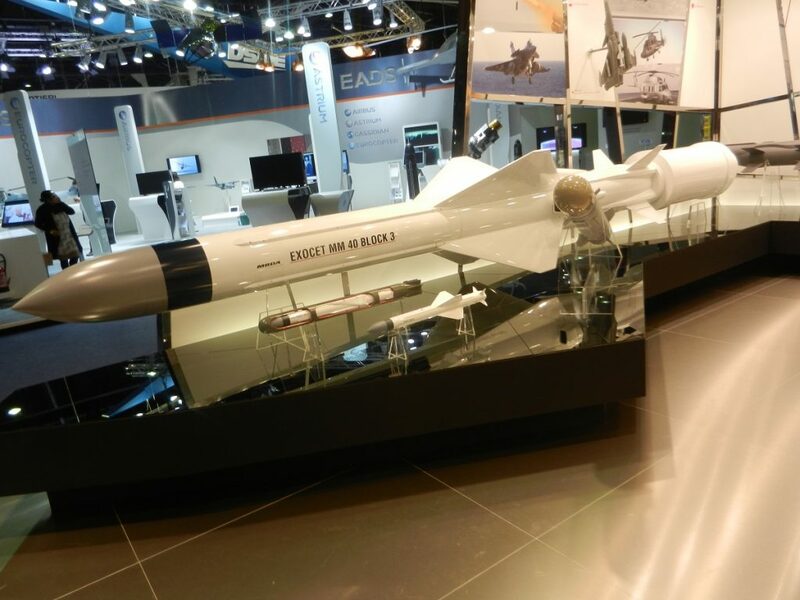 The slender command console is lowered through the conning tower and is supplied by a Tata Advanced Systems -BAE collaboration. Bharat Electronics Ltd (BEL) and many Indian industries and ECIL are involved in supplying the communications and electronic equipment, heavy duty pumps and compressors that fill tanks for diving and empty tanks for surfacing. The classified ATV renamed Akakshanka was set up in the mid 1980s by Dr Raja Ramana Chairman Department of Atomic Energy (DAE) and Dr V S Arunachalam Secretary DRDO, with funding from the Prime Minister’s Office (PMO) and DAE. Navy provided manpower, space in Naval Dockyard Vishakapatnam and helped design a shore submarine (S1) with a trial nuclear reactor for training set up at Kalpakam. ATV has been piloted by successive Vice Admirals, Mihir Roy, Bharat Bhushan, Ravi Ganesh, Promod Bhasin who cut the steel, DSP Verma who launched Arihant in 2009, and currently Dinesh Prabhakar who oversaw commissioning of Arihant (S2) and is supervising Arighat (S3). A new submarine base with a BARC center is coming up at Rombilli South of Vishakapatnam to relieve the congested port. The next generation smaller six 5,000 ton SSN attack submarines sanctioned by Defence Acquisition Council (DAC) are being designed jointly with Russia’s Rubin they call Beluga in a centre in Gurugaon. CNS Admiral Sunil Lanba only admitted, “ Work has begun and the project is classified”, during Navy week’s media briefing. Submarines are nations’ sword arms in war, and nuclear submarines are the vehicles of stealth for nuclear deterrence from the seas. India’s draft nuclear doctrine mandates a triad, with No First Use (NFU). The Navy’s Arihant had joined the Triad with Army and Air Force in 2016, and Arighat will be a more potent addition, as India faces the prospect of having to deter two nuclear-armed neighbours, China and Pakistan. Submariners as a special lot, was made famous by Rudyard Kipling’s prophetic lines in 1916, “The Submarine has created its own type of Officer and Man with language and traditions apart from the rest of the Service, and yet at heart unchangingly of the service”. In this context the genesis of this Make in India project called Akakshanka is more significant than the nation knows. 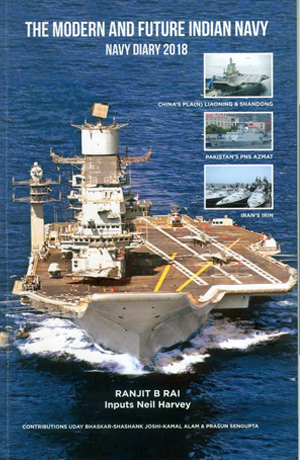 Cmde (retd) Ranjit B Rai is fomer DNI/DNO and author of Future Modern Navy-2018.